Jupiter is the most massive of all the planets. Jupiter's four Galilean Moons Io, Europa, Ganymede, and Callisto were the first moons discovered orbiting another planet. This discovery was made by Galileo in 1610. 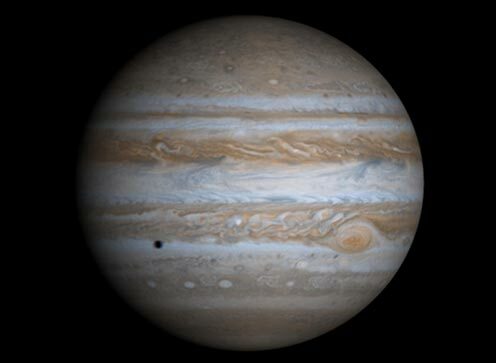 Jupiter has more moons than any other planet in the solar system with 63. Jupiter is home to the Great Red Spot, a high pressure storm more than twice as large as the Earth that has been raging continuously since it was first observed over 300 years ago.